Be it a -72 or a -42, the journey of the aircraft and its parts, in its “gestation period” is very interesting. 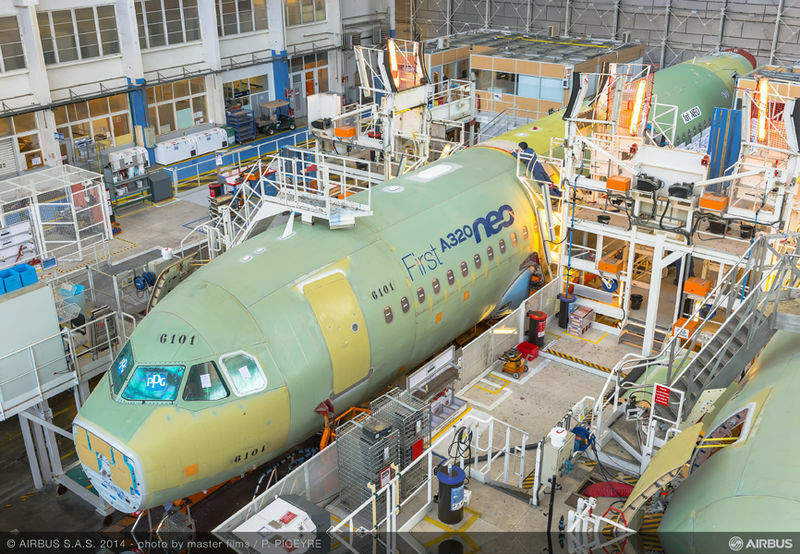 With demand for the ATR 72 rising sharply, due to its apparent great market value, availability of rated crew, and its operating economics, it is interesting how the assembly line is well coordinated, despite the inherent complexities involved with an assembly process spread over many countries. This is now being optimised by ATR to target 72 airplanes a year, to meet the rising demand for the world’s most popular turboprop. Click on the image below to enjoy the full size image, with readable text. 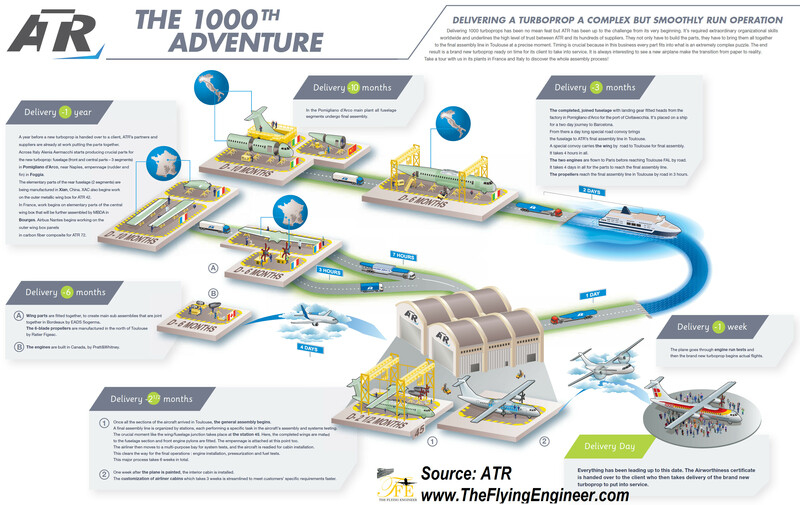 This image was published by ATR, when celebrating the delivery of its 1000th aircraft, in the May of 2012.